The Francis Hotel Pty Ltd applied for a license and planning permit for 32 electronic gaming machines (EGMs) for the Francis Hotel located on Lonsdale Street in Melbourne CBD. Sportsbet, a bookmaker licensed in the Northern Territory, installed a device known as a betbox at the Eureka Stockade Hotel in East Ballarat, Victoria. 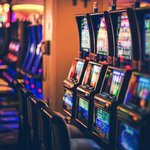 As the operator of the Caledonian Hotel in Echuca, Melkat Pty Ltd wanted to install electronic gaming machines (EGMs) and was required to apply for a permit. Maryborough Highland Society applied for an amendment to their license to increase their electronic gaming machines (EGMs) from 56 to 59.